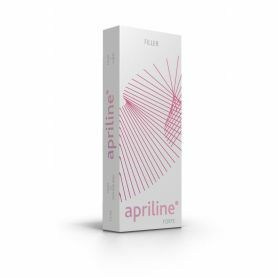 Apriline® Forte is an all-around filler designed for treating of deep wrinkles, cutaneous depressions, folds, and facial contours. Long lasting correction and promotes natural and radiant looking skin. Highly Purified cross-linked HA 23 mg/ML gel with very low residual of BDDE. 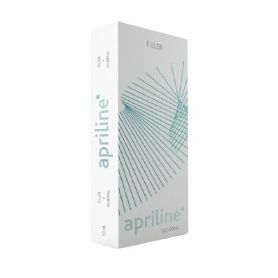 Apriline® Forte is an all-around filler designed for treating of deep wrinkles, cutaneous depressions, folds, and facial contours. Long lasting correction and promotes natural and radiant looking skin. CE Mark Certified. 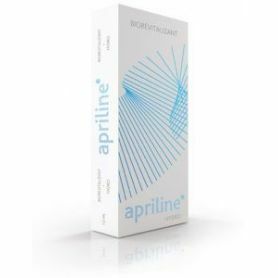 Apriline® is the only 100% effective monophasic cross-linked hyaluronic acid gel created using the unique A.P.R.I technology. 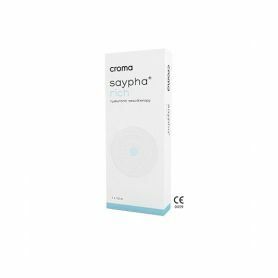 Very low residual BDDE level in compliance with specifications for FDA approval. Homogeneous gel with excellent dispersion ability for natural immediate aesthetic result. Highly Purified cross-linked HA gel with very low residual of BDDE. High pseudo plasticity provides powerful volumising effect. Filling capacity, high level of elasticity and viscosity. Cheek, nasolabial folds, marionette lines, chin, facial depressions. Apriline® Forte is an all-around filler designed for treating of deep wrinkles, cutaneous depressions, folds, and facial contours. Apriline Forte is designed to provide deep treatments for multiple facial areas. 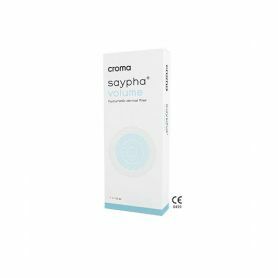 It can be used to smoothen out depressions, even out contours and address deeper wrinkles and folds. This treatment is ideal for individuals in need of more intense, long-lasting correction. It is extremely safe, effective, comfortable, and convenient. The results of one treatment can last as long as one year. Depth of Injection: Middle or deep layers of dermis, sub dermal.